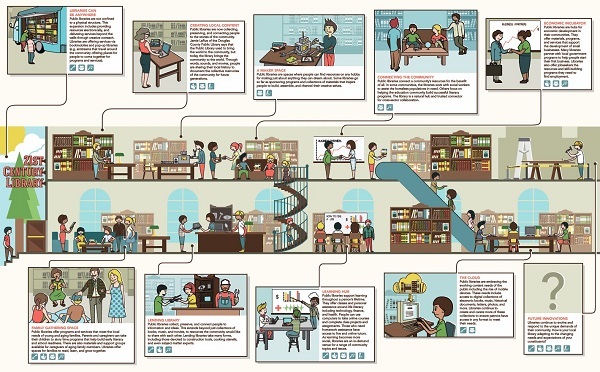 This document helps to celebrate the many ways that libraries have already adapted to the changing needs of society in the 21st century. These include: providing material and digital access to everyone; serving as a collector of information for future generations; connecting people, places and ideas in communities; supporting the discovery of new information; and becoming a hub to help communities be creators of content. This entry was posted in 行銷 and tagged 公共圖書館、故事地圖 by ted. Bookmark the permalink.